I remember my first Magikarp. I bought him from some snake-oil salesman outside of Mt. Moon during my first playthrough of the first Pokémon game. Boy, did I learn my lesson! Magikarp is awful! Of course, I was just a young pup and didn't quite understand all the specifics and mechanics, especially about how tyrannical it could eventually become. But no, Magikarp is just as useless now as he was twenty years ago, and in the same vein as Slowpoke, The Pokémon Company has published an official song dedicated to the pathetic being. 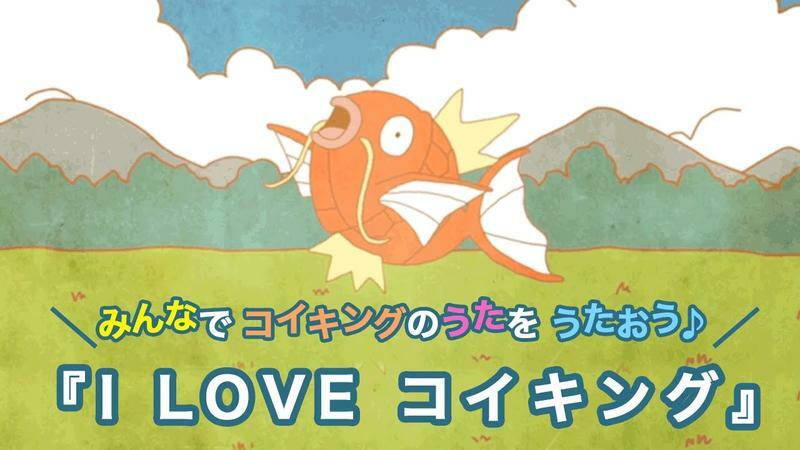 If you can't understand Japanese, the song covers all that we know about Magikarp. Legends from pre-historic times claim it was one of the strongest Pokémon in existence, but generations of devolution reduced into the "better off as canned tuna fish" beast we see it today. It's so pathetic that its meat is too disgusting to eat! That's okay, because the little Japanese boy singing the song still loves him. Even if his shiny, gold version is just as useless. Oh Magikarp… An eternal blight yet wonderful face of the Pokémon franchise. He'll never get old, and even today, he's become something of a phenomenon within a phenomenon thanks to the challenge of evolving him in Pokémon GO. Speaking of which, I just crossed 200 Magikarp candies today! Halfway done, and then I'll be among the very best!